The GVC-1502 Vapor-Steam Cleaner delivers cleaning and sanitizing performance in a small, portable and easy-to-use package. Using standard tap water, this unit produces a dry steam with an adjustable pressure of 0-90 PSI and an output temperature of 290 °F that quickly removes dirt, grease, and grime. Its high heat also kills bacteria, fungus, mold, mildew and other microorganisms on contact. Plus, the integrated chemical injection can increase cleaning performance even more. 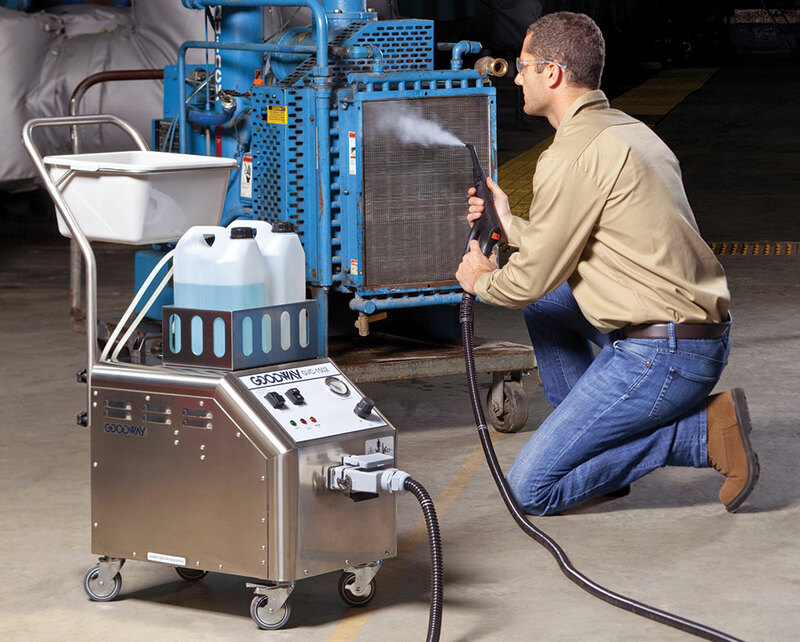 While the adjustable pressure allows the operator to release sufficient vapor-steam to thoroughly clean any surface without reduced visibility, the unit's chemical-injection system provides for additional cleaning power. Use in a variety of industrial applications including food and beverage production, manufacturing, and for steam cleaning HVAC coils. The unit comes with a full assortment of cleaning tools and accessories to cover a wide range of applications. GVC-1502 Vapor-Steam Cleaner with 1,500 W boiler, 115 V, 50/60 Hz 8' hose with pistol grip, soap container, and 1-gallon bottle of cleaner. Included accessory kit contents: Two-piece 38" wand, 11" floor brush, 5" triangular brush, 9-1/2" squeegee tool, 6-1/2" curved lance, 2" circular nylon brush, three circular nylon scrubbing brushes, three circular copper scrubbing brushes, and three circular stainless steel scrubbing brushes. Dry steam conveyor belt cleaning and sanitation systems for allergen removal, mold issues, glaze and oil oversprays, and more. 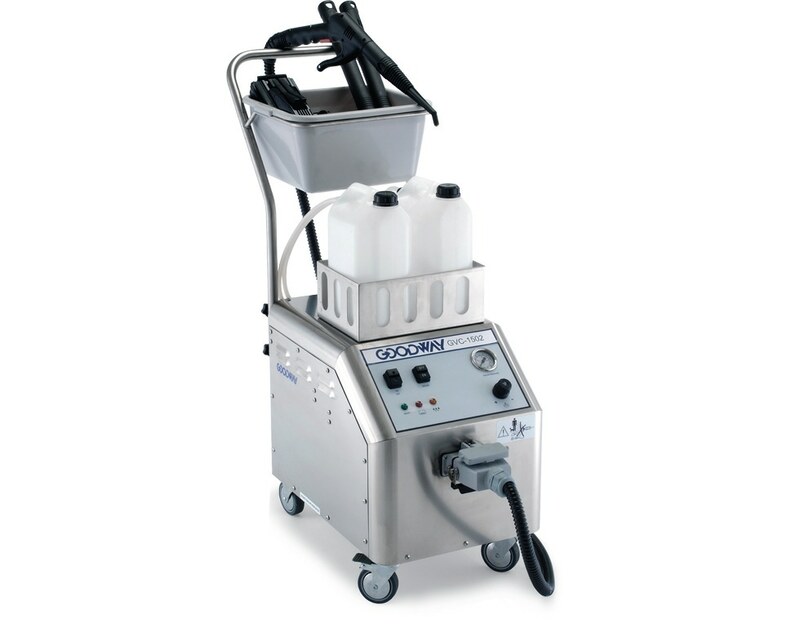 Brushless options for flat belt cleaning in fixed or portable variations and offer an integrated vacuum. The GVC-18VAC delivers the cleaning power of steam, with the convenience of an integrated vacuum for pickup. It also includes an amazing UV germicidal light system that kills bacteria prior to exhausting air.